The term quantum physics refers to the phenomena and characteristics of atomic and subatomic systems which cannot be explained by classical physics. Quantum physics has had a long tradition in Germany, going back nearly 100 years. Quantum physics is the foundation of many modern technologies. The first generation of quantum technology provides the basis for key areas such as semiconductor and laser technology. The “new” quantum technology, based on influencing individual quantum systems, has been the subject of research for about the last 20 years. Quantum technology has great economic potential due to its extensive research programs conducted in specialized quantum technology centres throughout the world. To be a viable and active participant in the economic potential of this field, the research infrastructure in Germany should be improved to facilitate more investigations in quantum technology research. The following article is the re-publication of a text of previously published under the German National Academy of Sciences Leopoldina, acatech (the National Academy of Science and Engineering), the Union of the German Academies of Science and Humanities (ed.) (2015): Quantum Technology: From research to application. Halle (Saale), 64 pages. ISBN: 978-3-8047-3343-5. The German National Library lists this publication in the German National Bibliography; detailed bibliographic information can be accessed online at http://dnb.d-nb.de. This paper is part of the topical collection “Quantum Repeaters: From Components to Strategies” guest edited by Manfred Bayer, Christoph Becher and Peter van Loock. A large number of projects and research groups in the area of quantum technology receive funding in Germany. Sponsors include the German Research Foundation (DFG), the Max Planck Society, the German Federal Ministry of Education and Research (BMBF), as well as a number of other regional organisations. The EU also provided funding as part of its fifth, sixth and seventh Framework Programmes. A good overview of these projects is provided by the QIPC (Quantum Information Processing and Communication) roadmap QUROPE/QUIET2, available online at http://qurope.eu/projects/. The following is a list of some of these projects; the list serves as an example and is by no means exhaustive. In addition, support was provided for individual researchers through, for example, Alexander von Humboldt Professorships. These included David DiVincenzo (RWTH Aachen), Martin Plenio (Ulm) and Vahid Sandoghdar (Erlangen-Nürnberg). Audretsch, J.: Verschränkte Welt. Faszination der Quanten, Wiley–VCH, 2002. Nielsen, M. A.; Chuang, I. L: Quantum Computation and Quantum Information, Cambridge University Press, 2000. McManamon, P.; Willner, A. E. et al. : Optics and Photonics – Essential Technologies for Our Nation, The National Academies Press, 2013. Peres, A.: Quantum Theory: Concepts and Methods, Springer-Verlag, 1995. Renn, O.; Zwick, M. M.: Risiko- und Technikakzeptanz, Springer-Verlag, 1997. Zeilinger, A.: Einsteins Schleier: Die neue Welt der Quantenphysik, Goldmann Verlag, 2005. “The Age of the Qubit: A new era of quantum information in science and technology”, Institute of Physics, 2011. Cirac, J. I.; Zoller, P.: “New Frontiers in Quantum Information with Atoms and Ions”, Physics Today (2004), pp. 38–44. Coffey, V. C.: “Next-Gen Quantum Networks”, Optics & Photonics News (March 2013), pp. 34–41. 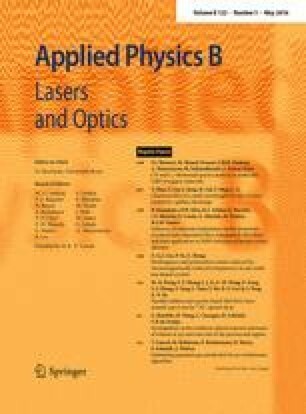 Cronin, A. D.; Schmiedmayer, J.; Pritchard, D. E.: “Optics and interferometry with atoms and molecules”, Reviews of Modern Physics, volume 81 (2009), pp. 1051–1129. Hänggi, P.: “Harvesting randomness”, Nature Materials, volume 10 (2011), pp. 6–7. Ladd, T.D. ; Jelezko, F.; Laflamme, R.; Nakamura, Y.; Monroe, C.; O’Brien, J.L. : “Quantum computers”, Nature, volume 464 (2010), pp. 45–53. Leuchs, G.: “Wie viel Anschauung verträgt die Quantenmechanik?”, PdN – Physik in der Schule, volume 62 (2013), p. 5. Monroe, C.: “Quantum Information Processing with Atoms and Photons”, Nature, volume 416 (2002), pp. 238–246. Zoller, P. et al. : “Quantum information processing and communication”, The European Physical Journal D—Atomic, Molecular, Optical and Plasma Physics, volume 36 (2005), pp. 203–228. Aspect, A.; Dalibard, J.; Roger, G.: “Experimental Test of Bell’s Inequalities using time-varying Analyzers”, Physical Review Letters, volume 49 (1982), pp. 1804–1807. Bell, J. S.: “On the Einstein–Podolsky–Rosen-Paradox”, Physics, volume 1 (1964), pp. 195–200. Bennett, C.H. ; Brassard, G.: “Quantum Cryptography: Public Key Distribution and Coin Tossing”, Proceedings of IEEE International Conference on Computers, Systems & Signal Processing, Bangalore, India, pp. 175–179 (1984). Cirac, J.I. ; Zoller, P.: “Quantum Computations with Cold Trapped Ions”, Physical Review Letters, volume 74 (1995), pp. 4091–4094. Einstein, A.; Podolsky, B.; Rosen, N.: “Can quantum-mechanical description of physical reality be considered complete?”, Physical Review, volume 47 (1935), pp. 777–780. Ekert, A.K. : “Quantum cryptography based on Bell’s Theorem”, Physical Review Letters, volume 67 (1991), pp. 661–663. Feynman, R.P. : “Simulating physics with computers”, International Journal of Theoretical Physics, volume 21 (1982), pp. 467–488. Heisenberg, W.: “Über den anschaulichen Inhalt der quantentheoretischen Kinematik und Mechanik”, Zeitschrift für Physik, volume 43 (1927), pp. 172–198. Schrödinger, E.: “Die gegenwärtige Situation in der Quantenmechanik”, Die Naturwissenschaften, volume 23 (1935), pp.807–812, 823–828, 844–849.